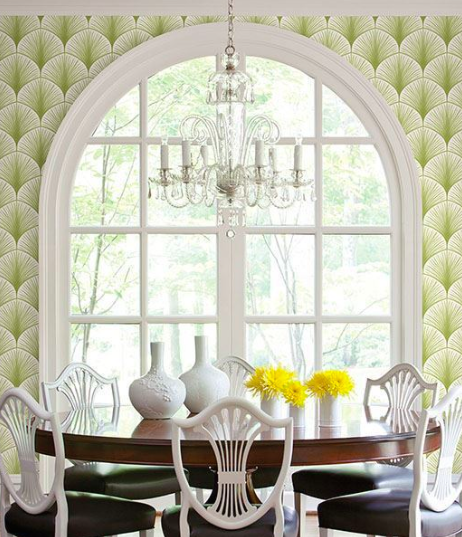 “April in Paris, chestnuts in blossom, holiday tables under the trees,” said the popular song lyricist E. Y. Harburg. 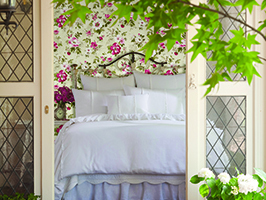 Many dream to see “Paris in the springtime,” the much-lauded phrase that captures a favorite time to visit. 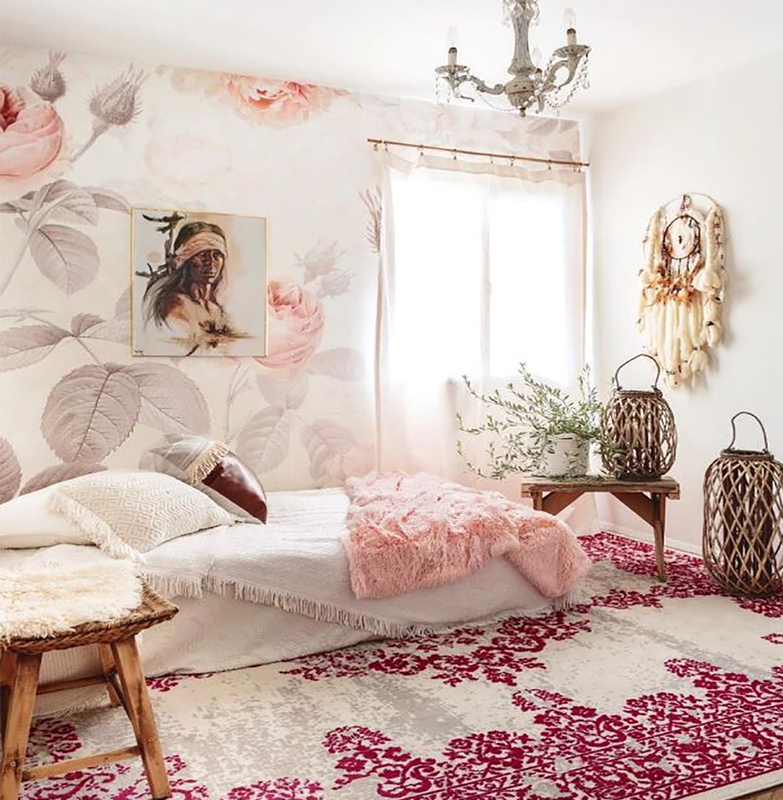 However if travel to the City of Lights isn’t on the calendar this spring, another way to learn about its sophistication, style and latest trends is to read up on Maison & Objet, Europe’s largest home design exhibition held earlier this year. 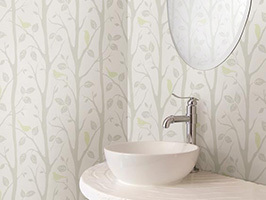 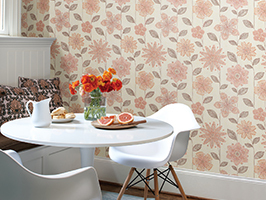 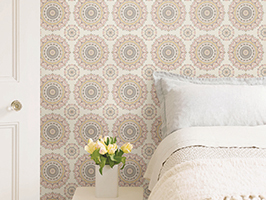 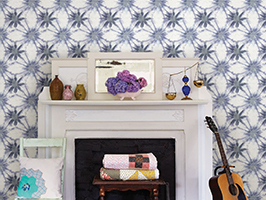 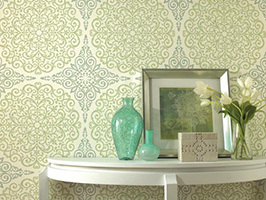 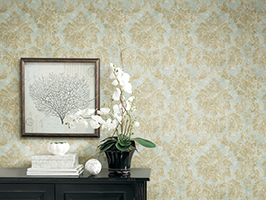 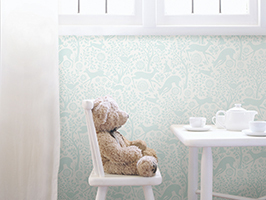 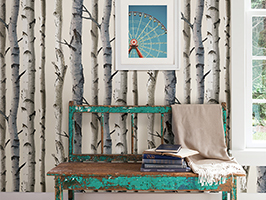 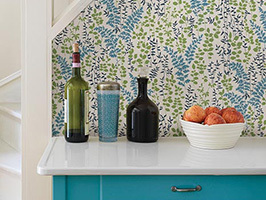 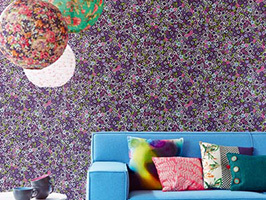 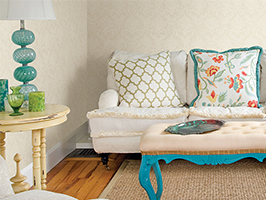 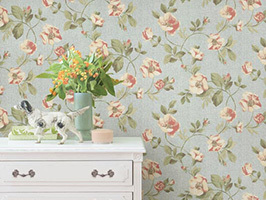 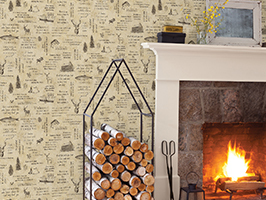 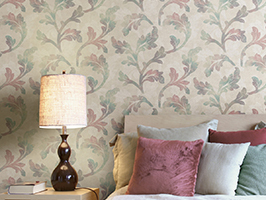 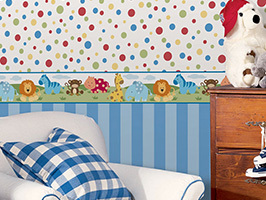 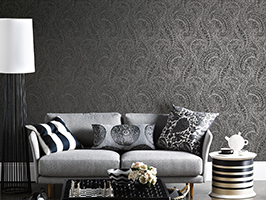 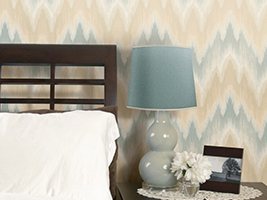 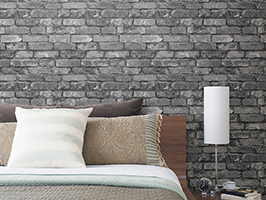 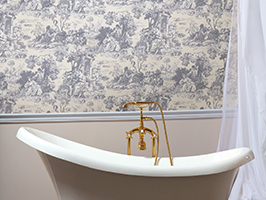 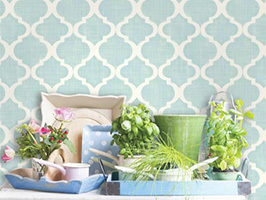 Paula Berberian, Creative Director of Brewster Home Fashions, one of the oldest independent, family-owned wallpaper companies in the U.S. scoured the enormous show searching for the latest trends and reports back here with four that can easily be incorporated into your décor. 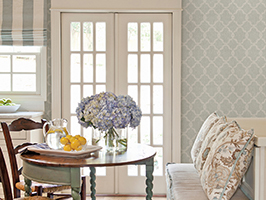 Whether in the popular pink, the new hot pistachio pastel, subtle watery blues, or in other soft marshmallow hues, the trend is certainly on time for spring. 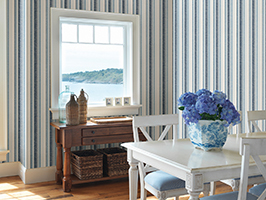 This palette is beautifully captured in Kenneth James’ Club by Eijffinger® line in the Yellow Geo Square Stripe pattern. 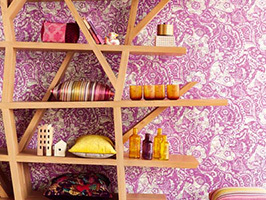 It features always fashionable vertical stripes in pink and yellow. 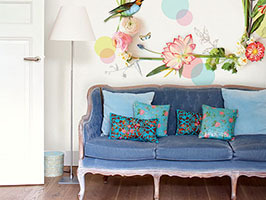 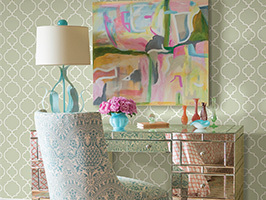 The design’s pastel pairing produces a look that’s both soft and sophisticated. 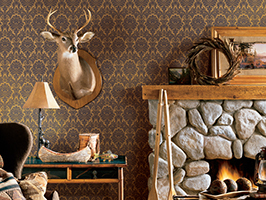 “There is a lot of financial uncertainty in the world right now” says Berberian. 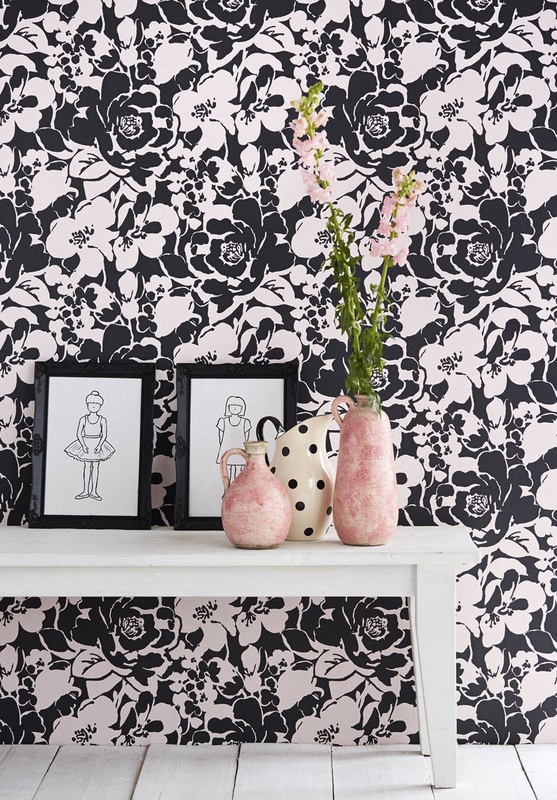 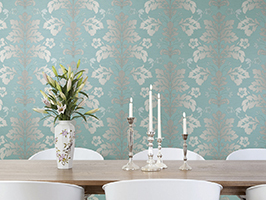 “Many companies are taking a conservative approach with regards to product introductions taking a deep breath and not wanting to take risks.” Berberian thinks this may be the reason why there are a lot of subdued modern interpretations of classic prints, such as a refreshed floral or damask. 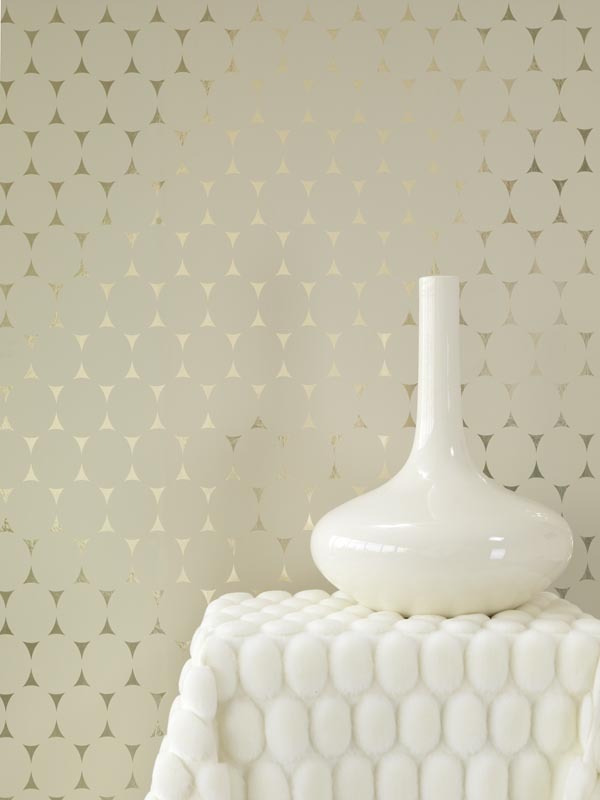 “Geometric and modern designs were still a favorite but I, along with my colleagues, concluded that there weren’t any drastically new designs. 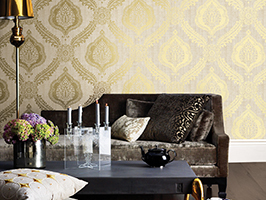 Overall designers and manufacturers are playing it safe,” concludes Berberian. 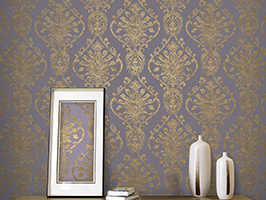 For a colorful improved classic, the Decadence’s Harira Purple Moroccan Trellis by Decorline features a classic trellis revived in silver and purple. 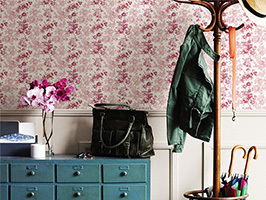 Wow guests upon arrival by adding this wallpaper in a foyer. 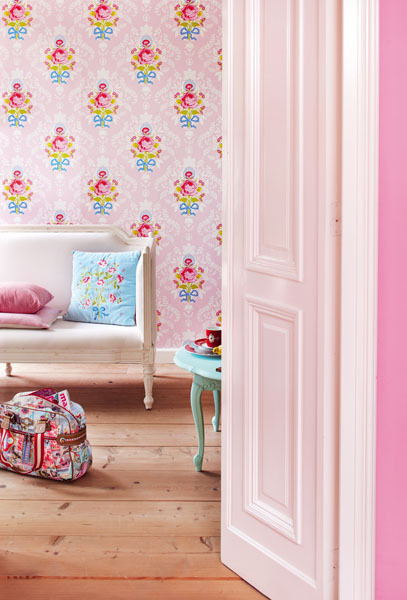 Its large-scale bright print is as cheerful as it is inviting, and by adding the design to an entryway, it also helps to set the overall decorating style and mood of a home. 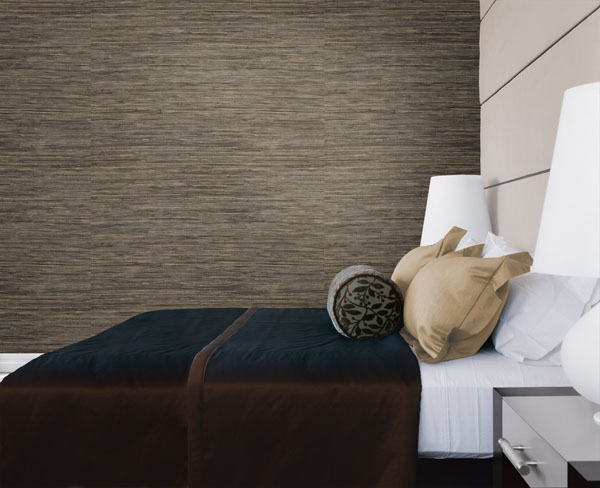 While the organic look was captured in wooden furniture from Scandinavian, Dutch and German to Italian designers, this texture can easily be captured in wallpaper as well. 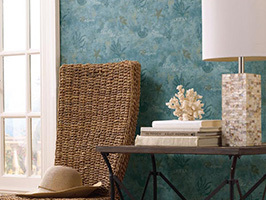 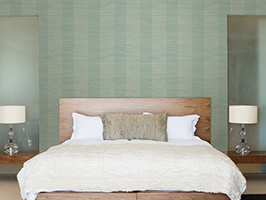 For an eco-friendly wallcovering and one that instantly adds an organic feel to a space, the Fine Bamboo natural grasscloth wallpaper in the nature-inspired ShangriLa collection by Kenneth James is an ideal addition. 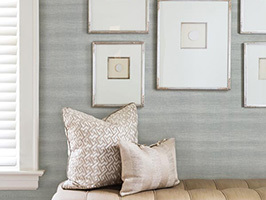 Its silky Kong Tawny Grasscloth in a warm spiced cider hue infuses warmth in any space, not to mention putting the “eco” in “eco-chic,” as the wallpaper is made of a fine bamboo harvested in Asia, making it 100 percent sustainable. 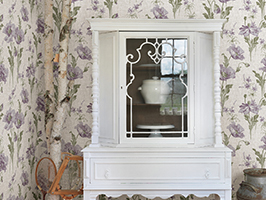 Just as colors were softened at the exhibition, so were the metallic accents. 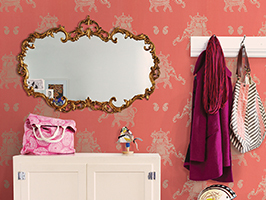 Rose gold, pink copper and yellowy brass finishes, both matte and highly-polished, were on-hand. 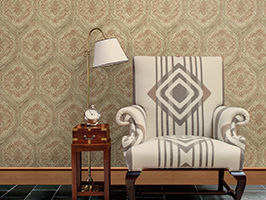 In furnishings, the metals were often paired with dark woods like walnut, ceramics and marble and, as Berberian attests, were also seen on walls. 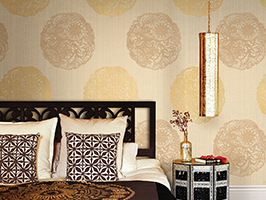 “Metallic-accented wallpaper was a constant at Maison, which serves as an affirmation that we’re on-trend,” says Berberian. 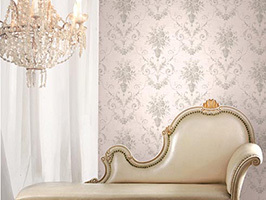 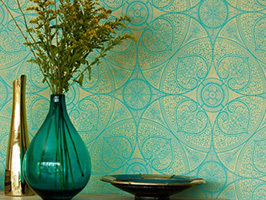 “We offer various wallpaper designs enhanced with metallic foils along with shimmer overlays and other embellishments.” One such wallpaper includes the Kenneth James’ Zircon by Eijffinger® collection that offers stunning glimmering accents such as in pattern number 317073 that features an intricate metallic gold lace print on a fresh sky blue background. 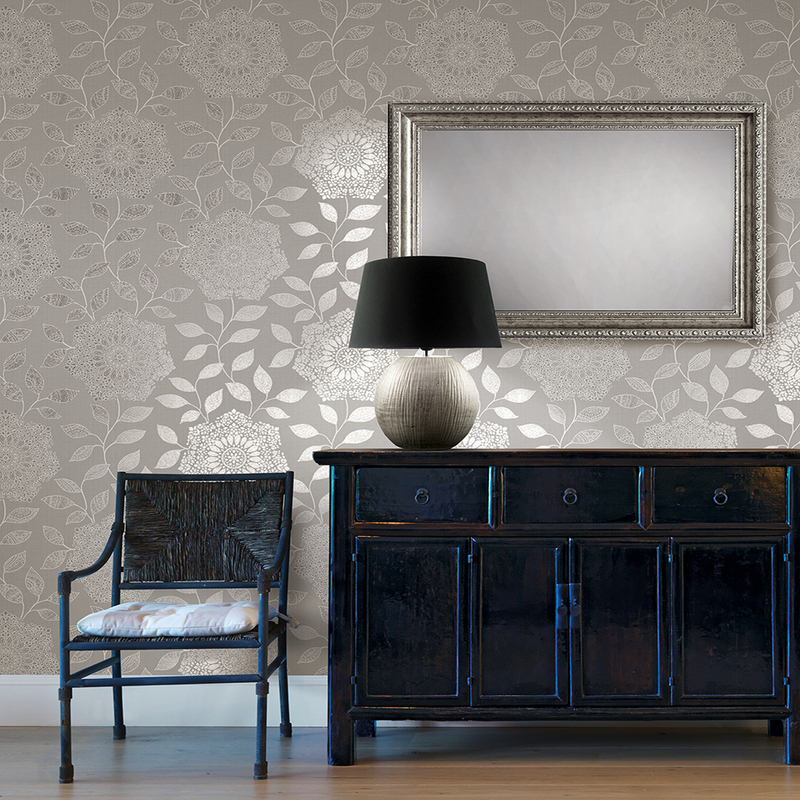 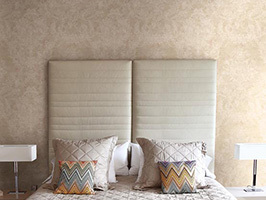 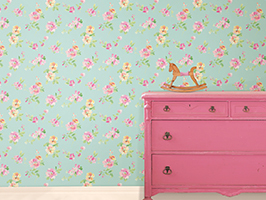 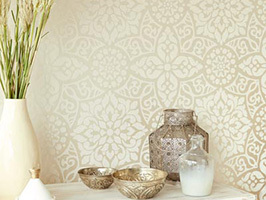 The delicate wallpaper can transform any dull office or bedroom with neutral furniture into a sparkling, jewel box space. 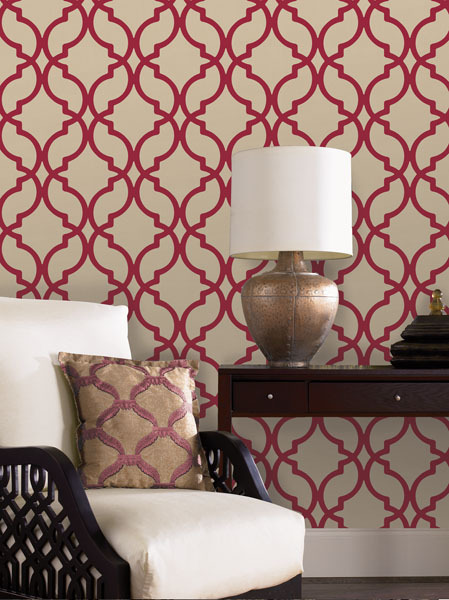 Get your Paris fix, at least when it comes to getting its latest styles, with these on-trend designs from Brewster Home Fashions.